Medicine Elective students volunteering in China with Projects Abroad get the chance to work with exceptional doctors. The placements are in modern hospitals that are very well equipped with up-to-date facilities. 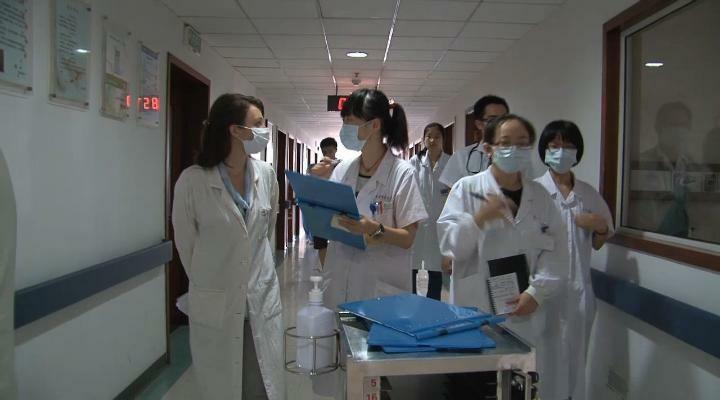 On your Medical Elective in China, you will most likely be working in a large training hospital in Chengdu or Shanghai. Both cities have hospitals that are large enough to enable students wishing to broaden their medicine experience in different areas to work in just one hospital. You will shadow one of our supervising doctors who all have high levels of spoken English and are experienced at working with western Medical students. They will be keen to test out your medical knowledge, as well as giving you the benefit of their training and experience. You will have the opportunity to observe surgery, assist on ward rounds and discuss specific cases with your supervisor, depending on your chosen specialism and module requirements. You are likely to work in close proximity to Chinese medical students, who are always interested about medicine and life in general in the west. Our Projects Abroad country staff can liaise with your university prior to your departure to ensure the specific aims and objectives for your elective module can be fulfilled. You will live with other volunteers in a centrally-located shared apartment. There is so much to explore and discover in Shanghai or Chengdu, and our volunteer community is traditionally a lively and a varied one. You can join the Medicine Electives project in China for two or three weeks if you don't have time to join us for four weeks or more. Please be aware that the number of departments you can experience may be limited and you may not be able to make the same impact as someone here for a longer period.